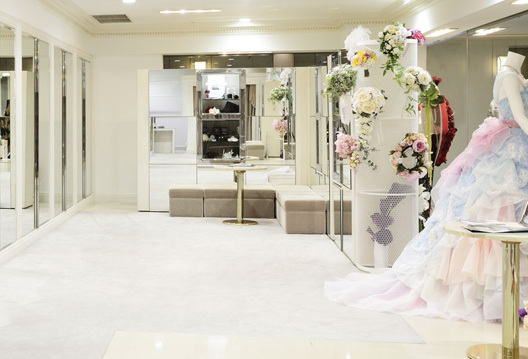 Yumi Katsura Bridal House is located at the Rihga Royal Hotel Osaka in Palais Royal alongside the boutiques of many other world-famous brands. 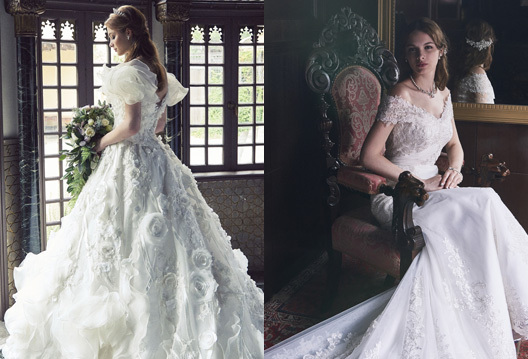 Our store provides customers with comfortable moments, as well as a rich assortment of bridal and formal wear garments. 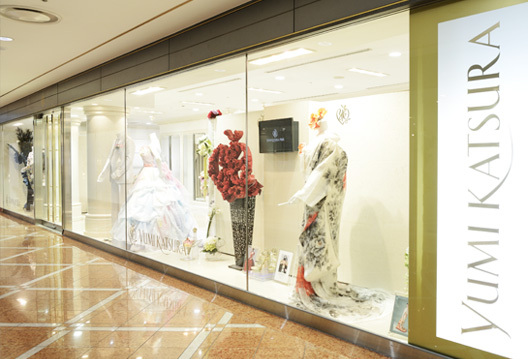 Yumi Katsura Bridal House is located in B1 Floor of Rihga Royal Hotel Osaka. Free Shuttle Bus Services from JR Osaka St. is available. Store closed on Tuesdays and Wednesdays.